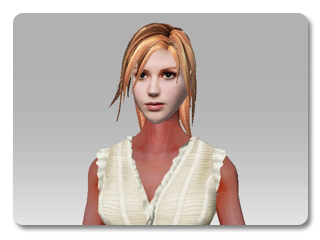 iclone provides a simple way to adjust the skin color to match the face and body. There are two parts of adjusting the overall color of the character, the front/side color of the head, and the skin/head color of the character. 1. Please click the Head button, and click load image button. 2. Follow the instruction and go to the last page of this wizard. 3. Switch to Edit Side mode. 4. The Eyedropper here is for informing iClone about the average color of the side face image to be blended with the front face. Therefore, if you want to manually adjust the side face to be lighter, you have to use the eyedropper to pick a darker place as the index for iClone to recognize. The eyedropper in Edit Front mode is for defining the average color of the front face to be blended with the side face color, which is very different from the one in the Edit Side mode. The skin color totally mismatches the color of the head. 1. Please click the Head button, and click Add button to store the recent head into the custom gallery. 2. Please click the Avatar button, and then the Skin button. 3. Switch to Modify tab, click the Launch button of the Diffuse texture. 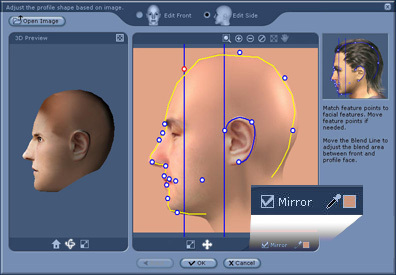 It will invoke your image-editing application. 4. Focus to the iCloneSkinTextureUpper_Diffuse00.jpg. 5. In the upper left corner, you will see a square of plain color. 6. With the idea mentioned above, this square is for informing iClone about the average color of the image. Therefore, in this case (Skin is darker and redder), we will adjust the square to be more dark and red. Save the image. 7. Go back to iClone and click Update button. Oops! Nothing has changed. 8. 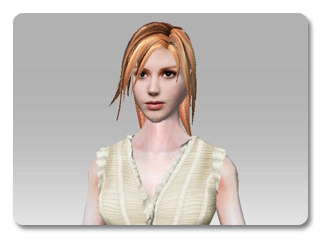 Please apply the head in the custom gallery again since skin-color-correction mechanism can only be triggered when head is changed. Now you will see the result after correction.